Subject: Is Another Fed Interest Rate Hike Coming in 2016? But federal fund futures, a gauge used by traders to predict Fed movements, tell a different story. 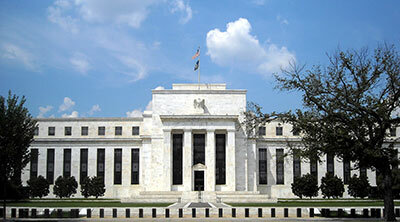 They imply the U.S. central bank will only raise its rate by 0.5% this year. That divergence in opinion is largely driven by opposing views of where inflation is headed. Fed officials forecast only modest economic growth in the year ahead. But inflation expectations rooted in Treasury inflation-protected securities suggest bond traders don't see an uptick in prices in 2016. A strong U.S. dollar and weakening commodity prices are expected to weigh on inflation. And wage growth is not seen as significantly improving. Will 2016 Bring More Fed Interest Rate Hikes? With the unemployment rate hovering near 5%, some economists believe it's better to steadily raise rates in 2016. Others believe it's more prudent to wait until wages begin increasing at a more rapid rate. Fed watchers also cannot agree on the timing of any Fed interest rate hikes in 2016. Economists at HSBC and JPMorgan Chase & Co. (NYSE: JPM) have the same inflation and unemployment forecasts for 2016. But HSBC predicts just two Fed interest rate hikes in 2016, while JPMorgan forecasts four. Evercore ISI strategists says there could be anywhere from zero to six rate increases in 2016. Monday's rout, which took Chinese stocks down 7% and sent emerging currencies reeling, could cause the Fed to hesitate on its rate-tightening pace. Closely followed market-watcher Jim Grant told CNBC Monday that the Fed will regret its December interest rate hike and will be forced to lower rates again in 2016. Money Morning Chief Investment Strategist Keith Fitz-Gerald made a similar call on CNBC last year. On Oct. 28, Fitz-Gerald said a December rate hike was a good bet. But not for the reason many expected. "I think the game here now is the Fed is looking at a labor market that's not as tight as they think, and they're looking at declining earnings this season," Fitz-Gerald said. "I think they're wanting to lower rates in 2016 so they've got to get ahead of that and raise them now."